1/2" Fiberglass, Heat Resistant Wire Loom 1200° - Black. Price is per foot. Price is per foot.For Example:..
1/4" Fiberglass, Heat Resistant Wire Loom 1200° - Black. Price is per foot. 3/4" Fiberglass, Heat Resistant Wire Loom 1200° - Black. Price is per foot. Price is per foot. 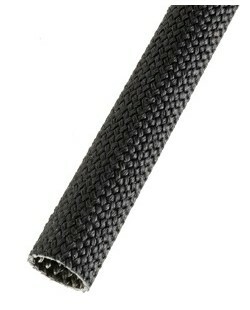 For Exampl..
3/8" Fiberglass, Heat Resistant Wire Loom 1200° - Black. Price is per foot.